About 1966. 8 1/2 x 11", 36-page 2-color illustrated brochure. 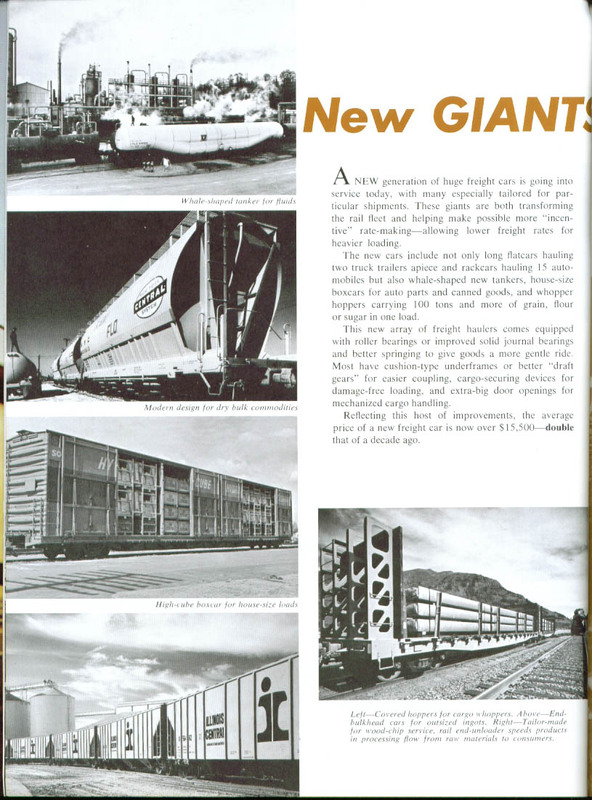 Telling how the railroad industry will recover from its doldrums of the 1950s and early 1960s. 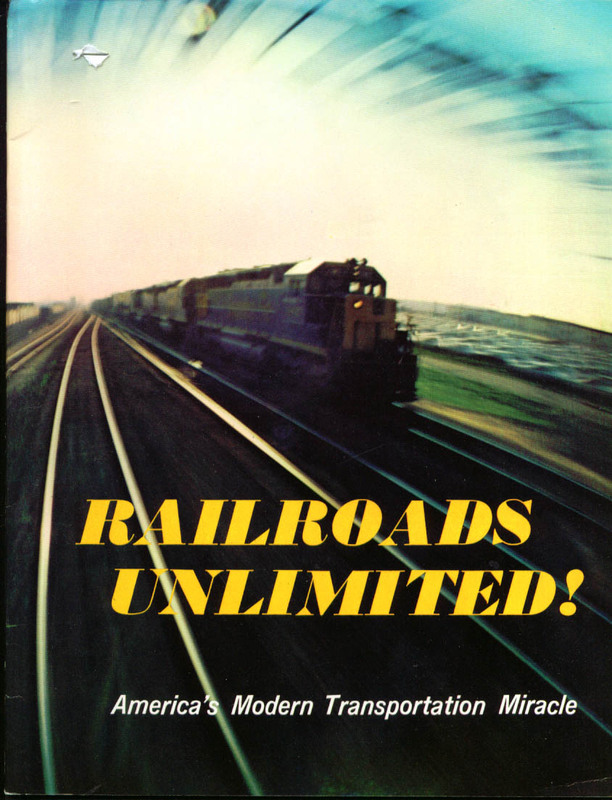 Chapters: Fore-Shadows of Future Service; The Piggyback; Unit Trains; Autos take to Trains; New Giants [oversize frieght cars], Rail Pricing [against inflation]; Modern Fuels; Electronic Wizardry; Rebuilding from the Ground Up; Research; New Directions in Passenger Service; Modern Merger Movement; 1st Partner of Defense; breaking through Government Policy Barriers. Staple in front cover.